Ask how your child is getting on with others in class and raise any issues of conflict with other children. Ask if the teacher has noticed that your child seems unhappy and isolated and is being excluded from games in the playground or regularly not having a partner to work with in class. Ask the class teacher, or the head of year at secondary school, if he/she can keep an eye on the situation and let you know if they have any concerns. Ask what the teacher suggests would be the best way of sorting it out. At a primary school perhaps the supervisors could take a more active role in the playground by keeping an eye on your child and ensuring that people are not excluded from games. Ask the school if they would consider introducing "friendship seats" or a "buddy bench" if they don’t already, where younger children can go if they have nobody to play with. Other pupils can ask them to join their games and the supervisors can spot whether one child is on their own too often. Secondary schools may not be aware that there are some areas of the school pupils feel unsafe, the toilets often come into this category. By telling the head of year where the bullying is happening, supervision can be increased so that the bullies are caught red handed, meaning that your child can't be accused of telling tales. At this stage it can be helpful to try to increase your child's circle of friends, by inviting a number of children home regularly, to forge stronger friendships. Write a note to the class teacher or head of year, explaining that the problem is still unresolved and ask for their support in helping to tackle this. That often does the trick, but if not, it's time to write to the head teacher, outlining everything that has gone on, and including evidence from the diary to back up your complaint. You also have the option of copying this to the Board of Governors. Putting a complaint in writing is essential so that there is a record of your concern and this puts the situation on a more formal footing. Schools have a duty of care, and allowing a child to be continually bullied when the school has been alerted to the problem could be seen as a breach of that duty. If bullying is happening in the changing rooms, in the corridors or playground then ask for supervision to be increased. If the school says it does not have the resources then explain that you are not asking for all the children to receive increased supervision, only the bully. Ask for a copy of your complaint to the head teacher to be answered in writing and for a copy of it to be put onto your child's school file with a note of action taken. If the school asks you to go in to discuss the matter, then try to take a partner or friend with you for a bit of moral support. Make notes of the points you want to make beforehand and be firm and polite. Don't get into an argument. After each visit send a letter to the school outlining the points of the meeting and action you have been told they will be taking. Ask to see the school bullying policy if you haven't already seen it. If you weren't happy with what you were told at the meeting then say so in the letter. You can complain to the police if your child has been assaulted at school. Police forces in the UK have school liaison officers who are experienced at dealing with school-related issues. The age of criminal responsibility in England and Wales in 10 and if the attacker is younger than this the police will probably not be able to do anything. However, they are often very good at warning bullies off in front of their parents. Attacks by older pupils may result in cautions or prosecution, particularly if injury is involved. It's important not to take matters into your own hands and to confront the bully's parents. This can lead to serious arguments. Bullying UK hears from children who are either suicidal now, or who have been in the past on a regular basis. Some of those pupils are receiving psychiatric or psychological help or counselling. If your child is particularly unhappy then take them to the doctor so that their distress can be recorded and if appropriate, medication or counselling can be started. A letter from your doctor to the school stressing the effect bullying is having on your child's health can also be helpful. Some children self-harm due to the stress of bullying and signs of this could be not wanting to wear short sleeved tops or preferring to wear trousers even in the hottest weather. 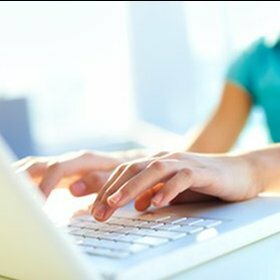 Please be aware that there are a number of very dangerous self-harm 'advice' websites on the internet and teenage girls in particular are at risk of being targeted by adults in them. If your child is taking time off school you're likely to be warned you may face prosecution unless you are teaching them at home. Unfair though it may be, keeping a child at home due to bullying is considered to be an unauthorised absence. Children staying at home in these cases are regarded as truants or an unauthorised absence and there has been a well-publicised case where a mother was jailed. It's a good idea if your child is so stressed and frightened by bullying that they can't face school, to telephone the LEA education welfare officer if there is one available (sometimes called an education social worker). You can then explain the situation and ask them to intervene with the school to get the bullying stopped. The education welfare officer's role is to ensure that children do attend school and they normally step in when a school alerts them that a child has been absent for a short period of time but if you feel your child may stop going to school then ask their advice straight away. Fortunately, most schools now take their responsibilities over bullying very seriously, all state schools are supposed to have anti bullying policies by law. Ask for a copy of that policy and see whether it contains anything to help you to resolve the problem. For instance, it may lay down a procedure to be followed over complaints and explain how those complaints will be treated. Make a note of the way in which your complaints have been dealt with and how they differ from the way they are supposed to be dealt with in the policy. If your child can't face school because of unresolved bullying, ask the LEA pupil support department or education social worker to intervene with the school to get the bullying stopped. You could also ask your doctor if a referral to a specialist like a psychologist for counselling would help. You could ask your child's head of year to arrange for your child to have access to a particular teacher or pastoral support so they know they have somewhere safe to go if they feel under pressure. You could also ask whether a buddy could be arranged for your child to help them settle back in. It may also be possible to arrange a phased return to school where your child attends for a few hours a day to build up confidence to return full time.